Two New Parts, Music, Tuning, Oh My! 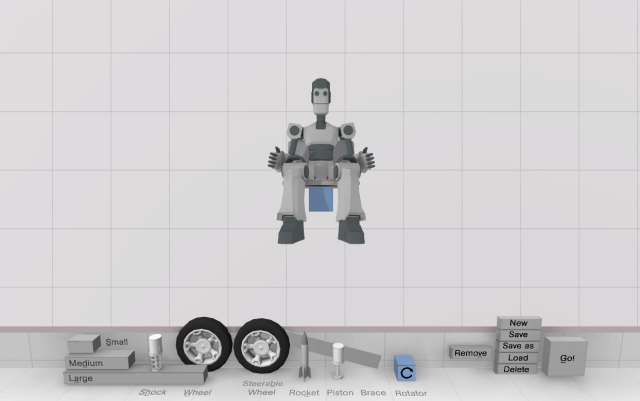 Crashtastic, now includes a piston (which can be controlled with custom keys) and the rotator! The Rotator isn’t exactly a piece. You are allowed to select a given side of a node which will rotate with any attached piece. In addition, you can limit the rotation of the piece by selecting the appropriate pieces of the “starburst” when creating the rotator. Pistons are added in a similar fashion to a brace. They can be controlled (default keys are I and O). The default keys can be changed in the “Tune” menu. The new “Tuning” menu is accessed from the vehicle editor. 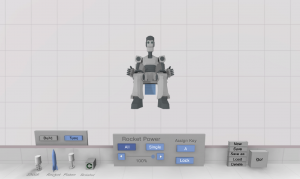 You can assign keys to rockets and pistons. 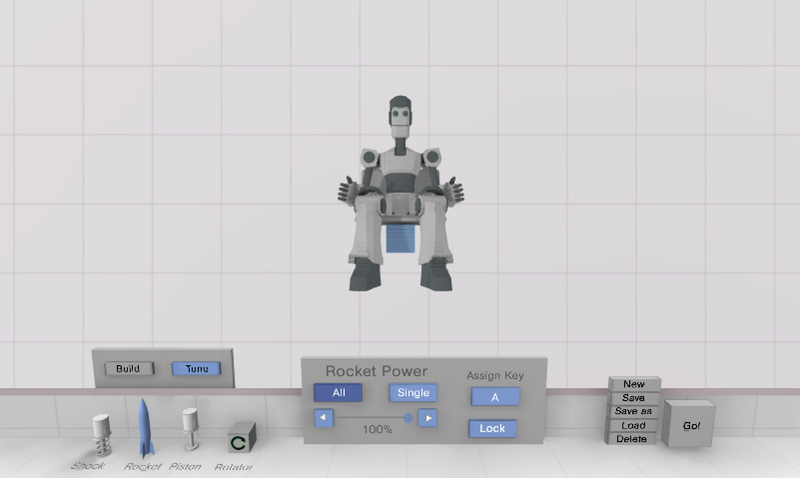 You can assign power to the rockets and shocks. These settings will persist on loading and any tweaks you make during simulation. Three music tracks created by the talented Chris Apple. Updated settings menu to enable Music Volume Control. Improved brace system. 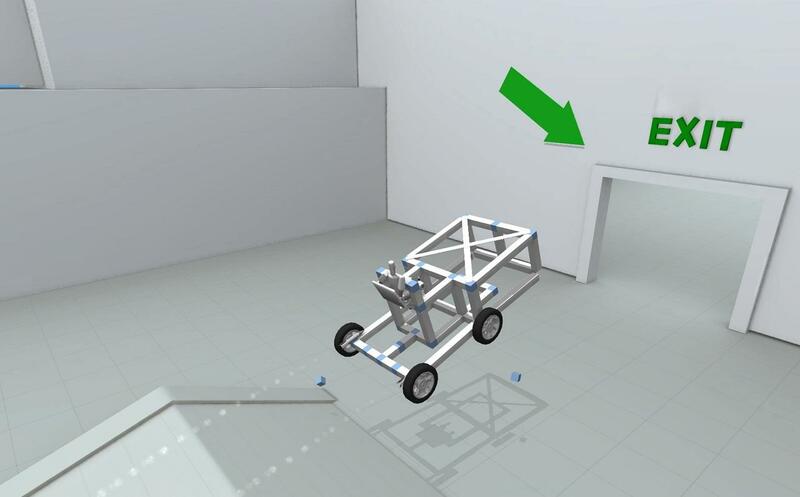 You no longer need to attach it to two nodes. One will be created at the correct location. Fixed lighting on a few levels and menus. Fixed an issue with duplicated Nodes. 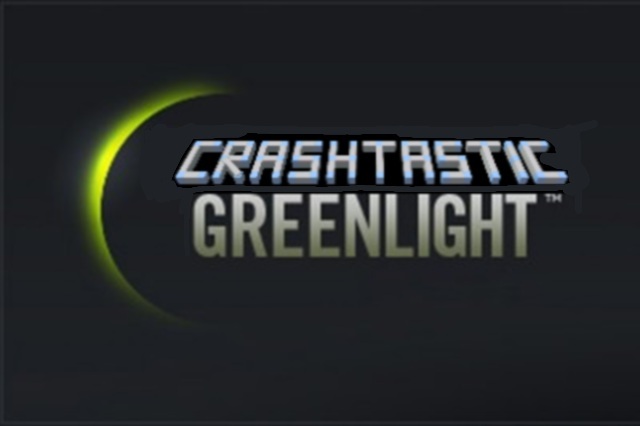 Please Support Crashtastic on Steam Greenlight! Hi Everyone! Just a quick note, if you haven’t voted for Crashtastic on Steam’s Greenlight, I would really appreciate it if you would. Getting Crashtastic on Steam has been a dream of mine since I started this project, and I am closing in on it, but I still need your help. If you like Crashtastic and would like to suppor the effort, please go here and click “Yes”. I recently sat down and did an interview/Let’s Play with the guys over at Greenlit Gaming. Database server is back online! Sorry about that folks! The server where the database resides had a major failure earlier today, and it took hours to get the database restored and back online. It’s back online again, and we are good to go. Should be back online soon! I just wanted to post a quick update on 0.4.8. I know it’s taking a long time to get this out there (trust me nobody wants it to be done more than I do!). 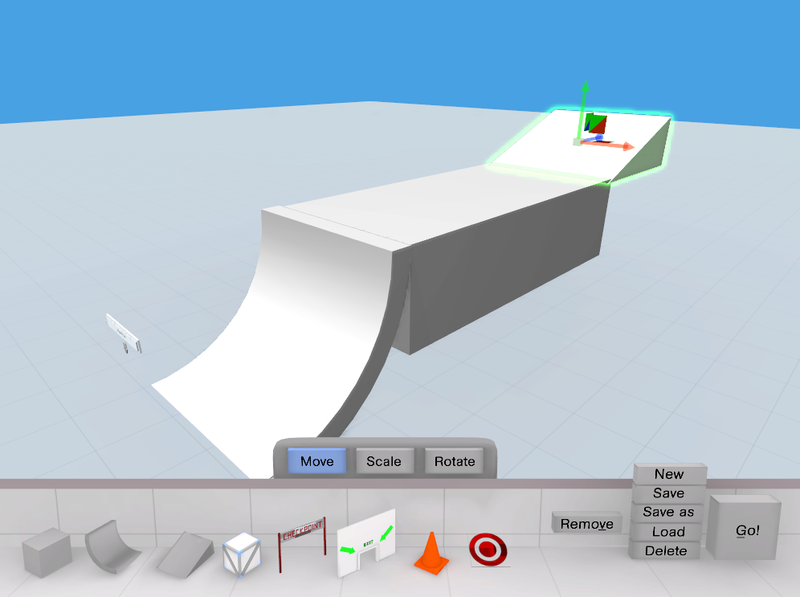 Right now, I’m putting the final touches on the new “Tuning” interface in the editor. In addition, I have been working on fixing a variety of bugs with the new rotator piece, and I feel I almost have that nailed down now. There is still a bit more work to do, but 0.4.8 should be coming soon! Here’s a screenshot of the new Tuning UI….. The team over at Greenlit Gaming posted a nice preview of the game. Take a look! t’s hard to believe that 2012 is history! I’ve been stuck in bed for the past four days with one of the worst bouts of the flu I can recall ever having. During the rare times I wasn’t asleep, I had some time to contemplate Crashtastic and what all happened during 2012. Now that I am finally on the mend, I wanted to give a brief recap of 2012. My next update will share some plans for 2013. 2012 was a big year for Crashtastic. I can’t possibly detail all the amazing things that happened, but here are the highlights…. It started on the heels of a nice article on PC Gamer [link], which pushed me into frenzy mode, as I drove to get the Crashtastic Alpha ready for launch. To this point it had been about two years of part time development, but Crashtastic was going to reach players hands! Crashtastic continued to get some good press coverage including articles on Rock Paper Shotgun and Indie Games Interview, and this added fuel to my drive to release it. I thought I would release the alpha in March but as is typical in game development it slipped a bit and ended up releasing on May 4th, and it was crazy!! There were server issues, game issues, and some random issues with Paypal, and Google checkout, but those kinks got worked out pretty quickly. I launched Crashtastic on Steam’s Greenlight in October, and I am happy to report that while I wasn’t Greenlit in 2012, I am still in the top 100 and feel good about the chances of making it this year! If have haven’t already, please go here and vote yes. Over the eight months since launch, so many creative people have posted amazing videos on Youtube, which have a combined view count of over 2 Million views, which is way beyond anything I expected. I watch almost every one of them, and it really does help get the word out about Crashtastic. So I wanted to give a special thanks to everyone who spent their time sharing their video of the game. Thanks! Since the launch of the alpha, I have released seven patches, including several new levels, a Mac version, and often requested features including tunable rockets, and a sandbox mode. While I feel really good about that, I’m not done yet! Stay tuned for an update on plans for 2013.